Now is a perfect time to examine the current safety situation within your warehouse and prepare to make improvements going forward. A safer warehouse is a better warehouse—embrace the opportunities for improvement. Safety should of course be a top concern of every warehouse operation. Yet each year 96,785 workers are injured due to forklift misuse. According to the Occupational Safety and Health Administration (OSHA), around 855,900 forklifts are in operation in the United States—assuming one accident per forklift, that means 11% of forklifts will be involved in an accident. More specifically, OSHA estimates 61,800 non-serious accidents, 34,900 accidents leading to serious injury, and 85 fatal accidents annually. These statistics paint quite a daunting picture. However, the administration estimates 70% forklift accidents could be avoided by proper training and policy enforcement. That means these dire statistics do not have to be the norm. There are opportunities for warehouses across the country. Facilities can improve and provide better, safer environments for their employees. 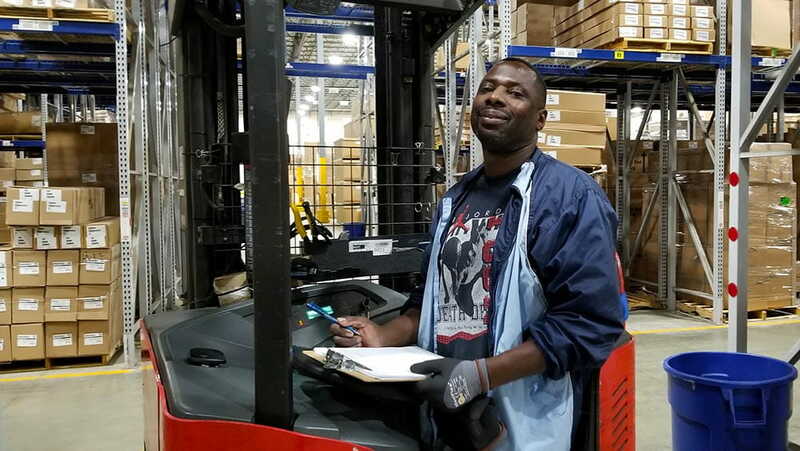 Recently, Carolina Handling helped facilitate a Forklift Rodeo in Buford, GA at Daimler's Parts Distribution Center. The event was held so their drivers could complete their OSHA re-certifications. Courses were set up for reach trucks, stand up counterbalance trucks, and order pickers. 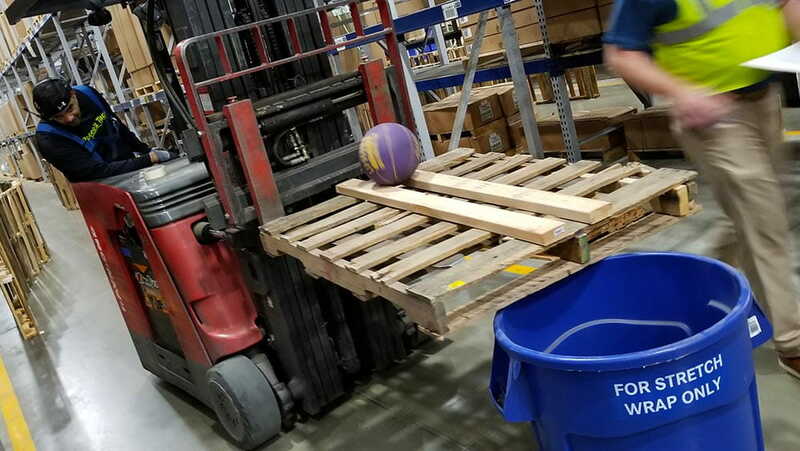 Each operator set to certify navigated through timed obstacle courses with penalties added for each pallet hit or safety violation incurred. The operator with the fastest time was the winner of that particular course. Carolina Handling provided judges and a Raymond Virtual Reality (VR) Simulator so Daimler employees could experience this exciting new technology. 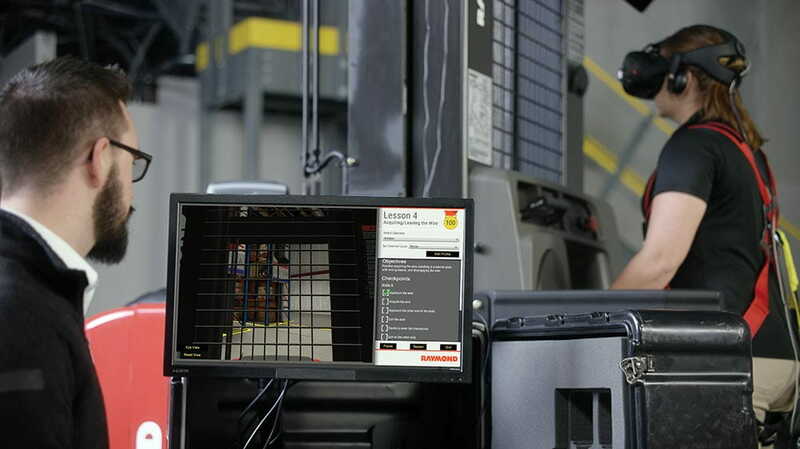 The Raymond VR Simulator allows operators to become familiar and comfortable with a forklift and its controls prior to operating within the physical warehouse. The platform affords operators the ability gain confidence and learn within a controlled simulated environment. This minimizes the danger of potential product and warehouse incidents. Forklift lesson modules for reach, order picker, and stand-up counterbalanced lift trucks are preloaded into the simulator. A series of guided lessons that increase in complexity and build upon principles learned in earlier lessons reinforce desired behaviors by providing the user with a consistent experience. An instructor’s panel allows insight to see exactly what the operator sees, allowing the instructor to provide real-time feedback. A Rodeo of Your Own? After the Forklift Rodeo came to a close, it was heralded a great success. Check out the video below for some highlights of Daimler's drivers navigating the different obstacle courses. If you'd like to host a Forklift Rodeo of your own to help certify your employees, we can help. Fill out the form on this page or get in touch with your local Carolina Handling representative for more information.